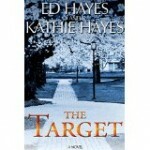 Ed and Kathie Hayes are a mother and son writing team both living in the Pacific Northwest. 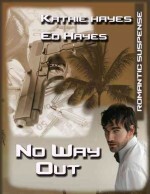 We write in the romantic suspense and thriller genres. Most readers want to know how we produce our manuscripts and how we divide our roles. We collaborate. We work as partners through the entire process from concept to editing. Many want to know how it feels to write the ‘hot’ scenes together, and we both agree it’s a little strange. Writing is a craft and we act as writing professionals. We hope you enjoy our books, and look forward to your reviews and any comments. We can also be followed on facebook, or visit our website. Story 5 in the best-selling series, Places to See. Meg Winslow and Joe Henley are unknowingly set up by their matchmaking daughters. Meg’s in San Francisco to see her daughter at Stanford and fulfill a promise to a friend. Joe’s a detective with the SFPD.